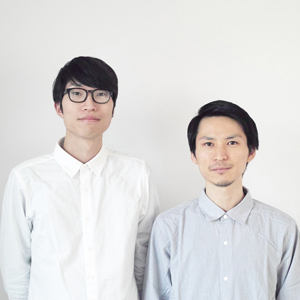 Naoki Ogishita and Koichiro Oishi graduated from the Design Department of Kanazawa College of Art and formed a design unit in 2014. Specializing in product design, the unit also takes on the design direction of projects including packaging and graphic design. Searching for a comfortable style of living, they pursue discovery of the essential qualities new perspectives using profound observations not bounded by existing framework.